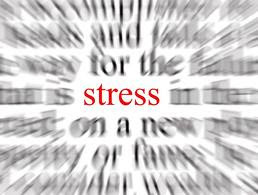 We often think of stress as a black cloud that follows us around, waiting for it to open up the head gates and let the bad stuff down on us. 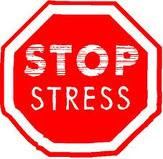 When in fact stress is often self inflicted and we're the ones who set up the conditions in which it thrives in. As busy Moms we often take on more than we can handle, overspend and by doing so we gain money worries, and we're so disorganized we can't find important papers or even our keys. Lack of sleep or over sleeping. Unproductivity in life or even business related. So what are some ways we can eliminate stress and therefore live higher quality lives with more productivity and sense of Success? Identify Your Biggest Stressors: This may take some time to sit back and write down the things that trigger you to become stressed and unfocused. Identify a Way to Cut Back on that Stress: Maybe the idea of making 7 dinner meals per week is a stress factor. An easy solution might be to plan 2 nights per week to eat out or to cook ahead. Identify the Activities that are Most Important to You: By doing so you'll learn to focus on those tasks rather than all of the small stuff. And remember it's ok to say "NO" to things. Have you felt a void in your business and not sure what to do? Here are 3 easy steps that you can take today to help connect with others and enhance your business. Start a blog! This is a must. Blogger and Wordpress both offer free blog templates. Your blog should provide a way for others to connect with you and see that you are a real person. Business content can also be shared there but make sure it is value driven. Get a Twitter and Facebook account up and running. There are many tutorials that will explain how to link your blog, twitter and Facebook feeds together. Educate yourself! The more knowledge you can obtain the more successful you'll be. With any home business trends change with the time. Just as the Internet has changed over the years. The importance is to keep up with the times and be a sought after business person. Take the time to do these three steps today, You'll be glad You did Tomorrow! Matthew 6:28 NIV And why do you worry about clothes? See how the lilies of the field grow. They do not labor or spin. Ephesians 6:10 Finally, stand strong in the Lord and his mighty power. Mark 11:22 Have faith in God, Jesus answered. I love a good blog hop! I found this one today at Money Savvy Michelle. Join in on the fun and link up! If your new to my blog I want to say WELCOME! I'm so glad you stopped by and hope you hop over often! With three girls we use a lot of hair bows! And my middle daughter Loves to have one in her hair at all times it seems. Here's an easy flower hair bow that you can make out of felt. Cut a strip of felt, Mine measures about an inch. Cut a fringe into the strip of felt. You will then roll the fringe and hot glue it as you go. Once your flower is made you'll want to glue an alligator clip onto the back. And here's what it looks like placed in hair. Super easy to make and looks cute too! May your family be blessed with a very Happy and Safe 4Th of July!!! I'm not good at measuring... Mix the ingredients until the crust is soft and ply -able, similar to play-dough.